Anybody can watch anime, read manga, or buy a costume. That's easy. What's not so easy is knowing what happens behind the scenes. It's like someone trying to glimpse into a limo with tinted windows - you're not going to see much, unless the window gets rolled down. In my book, this is what panels are all about. The place where secrets find a way from the horse's mouth into your own ears, making you privy to knowledge that only the biggest of insiders know. And if you think that's a joke, ask yourself this - why do you think panel lines are so damn long? 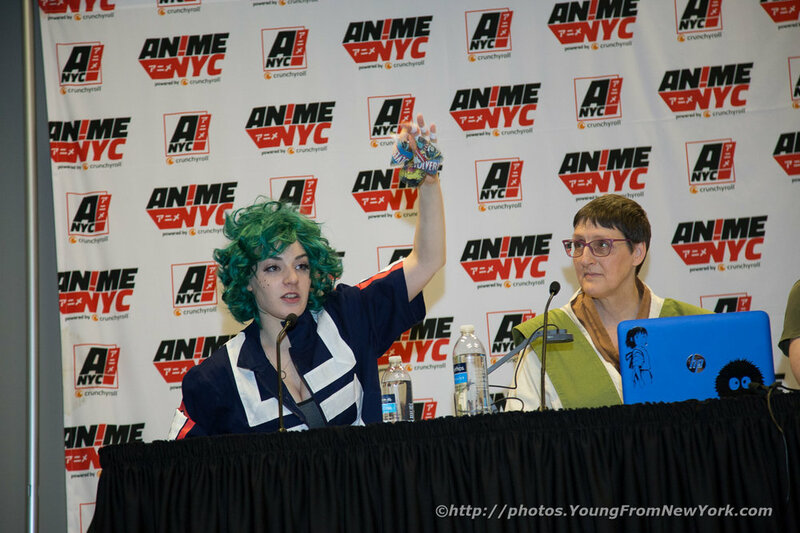 Anime NYC 2017 had panels for all three days. There was quite a range of them, from costuming secrets to politics and food. 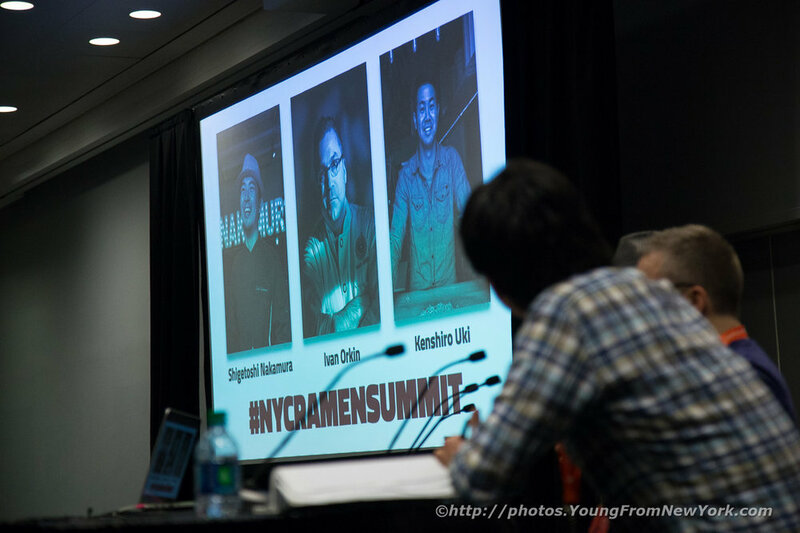 Mmmm, and speaking of food, ramen was a big one with three pro ramen chefs showing up to share their collective experiences in the business. There were three panel rooms on the same floor as the Expo Hall that made it convenient to get to. The only downside was if the panel happened on the main stage - you'd have to exit the expo area and get bag/prop checked again when you got there. Otherwise, it wasn't complicated - there wasn't fifty different rooms you had to hunt around and then wait on line for. Surprisingly, people waiting on line were very civil and actually followed the markings on the ground. No need for rope poles here then. Having said that, some of the more popular panels did have long waiting lines that snaked around several times. While you didn't have to wait on line an hour early, it didn't help to get there "on time" for some of them. If you found yourself on line after the panel room filled to capacity, the staff would make an announcement about it. And after sharing some grimmacing looks of disappointment with your fellow line standers, you'd slowly disappear into the Expo hall that was five feet away to amuse yourself with a free bout of taiko drumming - or see what was happening at an adjacent panel. 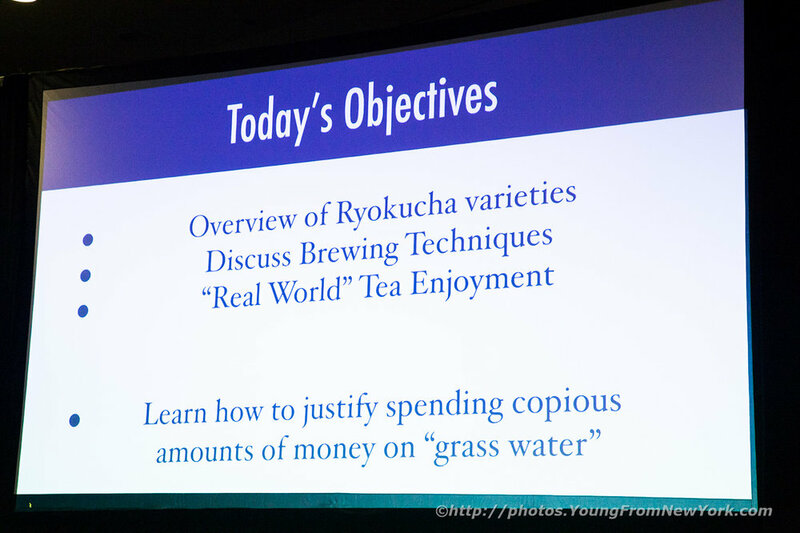 There was the Japanese Tea panel with Rob, a daily green tea drinker (for the past decade!) and Darrell, who's been observing tea drinking from a cultural context in Japan (and of course, drinking it himself.) It was a fascinating look into how this one leaf could be turned into a huge variety of products, depending on how it was grown (under sun or shade?) or which parts were harvested/used. And that's just the green tea variety. Water temperature and timing is EVERYTHING. Even I had it wrong and I'm Asian.... I've been drinking it wrong this whole time - a terrible tragedy. If you've ever tried green tea and hated the taste because it was too bitter, somebody probably dumped boiling water on those precious leaves, which is akin to destroying the tea flavors you actually want. So don't do that. 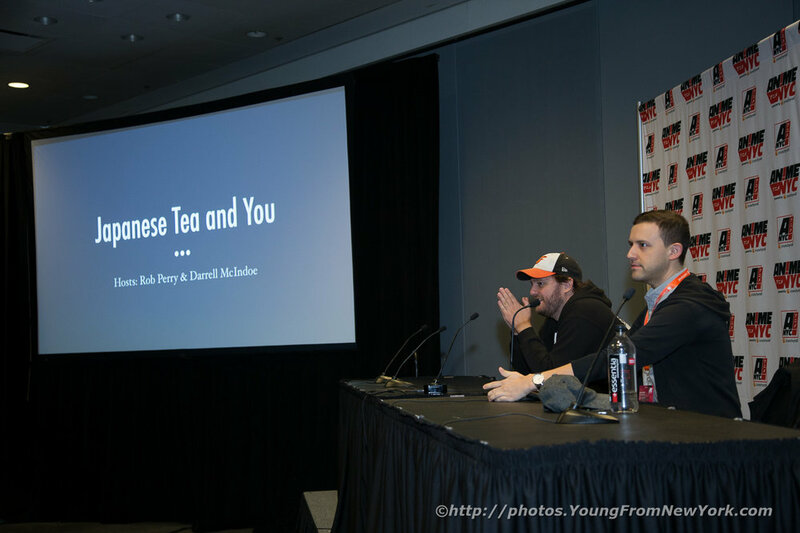 We'll post an audio version of the tea panel on its own page for those of you who really want to learn how to do it right, but for the time being, use 175 F degrees for 30 seconds to a minute (this is for standard Sencha - see slideshow photo above for more temperatures.) And you can re-brew the same leaves two to three times and still get great flavor. At its root, we can thank instant ramen for the proliferation and popularity of this type of noodle. The ability to pop open a packet and rehydrate noodles and a soup base in the span of several minutes is a notable achievement. But this has morphed as foodie culture evolved in the 80's until now, elevating this once instant meal into a chain type food, then an almost gourmet style dining experience. Soup stock and noodles are the staple. Ken is a key figure in making the current distribution of diverse types of noodles available in ramen shops all over the United States. While his name is probably not known to many, it's one of those secret names that only insiders who deal in this business know. Jack is also one of them - and his specialty is in development of the noodles themselves. 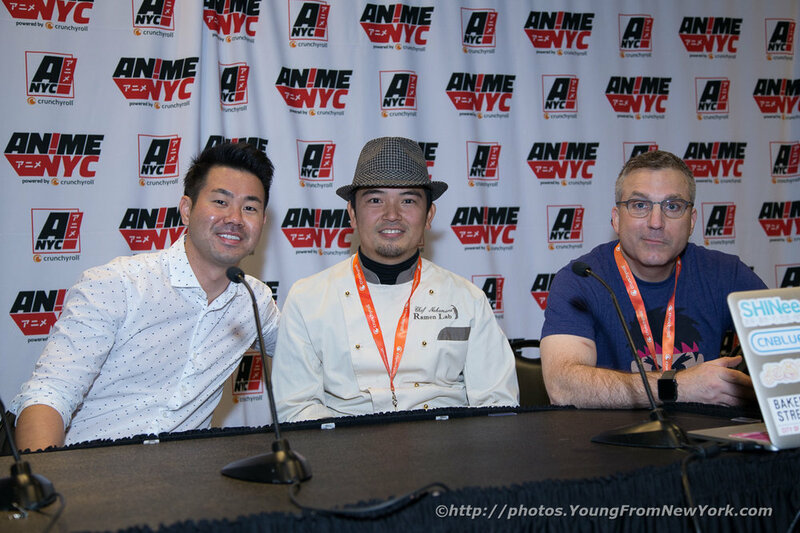 The most well know on the panel is Ivan, a New Yorker who opened up a ramen shop in Tokyo and has won numerous awards and recognition for his food. I used to eat a lot of instant ramen during my college years. It was cheap, quick and tasted good. But one question I've always had was why people slurped their ramen - was there a good reason for this? They must have known somebody would ask because Ivan pre-emptively talked about how the soup base had to be engineered correctly for the noodle in question so that it would bind well. The slurping is the sound of the noodles bringing the broth up, with the soup flavoring the noodles as you ate it. So in essence, a good broth would stick to the noodle as it was being pulled up. Slurping is simply the result of bringing up both noodle and soup to your mouth. How else is it supposed to sound? A wealth of knowledge was shared on this panel for pattern making and sewing. If you were new to Cosplay (or even just wanted to mend holes in your socks) this panel was very helpful. The team, made up of Gretchen, Emma and Trevor (a mother/daughter team - plus friend?) 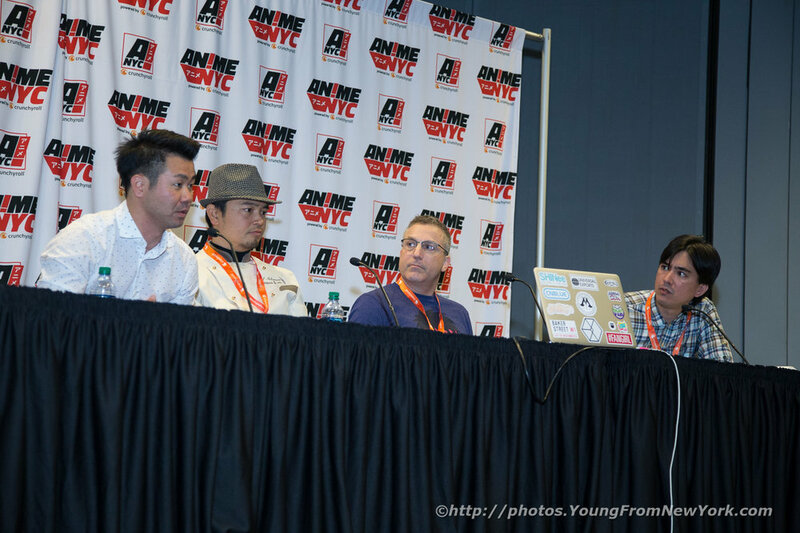 normally does smaller workshops with hands-on participation, but this was a panel - one to many. Interestingly, they thought up the idea to use a webcam and projector to demonstrate what they meant as they showed their how-to's. They offered many golden nuggets of "oh, by the way" tips, which would easily slip by if you weren't paying attention. Things like how certain fabrics work and the kinds that are the easiest to work with if you're starting out. Now and again, you'd hear the types of stitches you could use for the start of/end of a thread, and certain techniques you could employ to save you a lot of headaches down the line. Clearly, if you ever planned on using a needle and thread, this panel would be a "must-go" on your list. I'm glad I went - because I'm one of those people that mend my own socks.